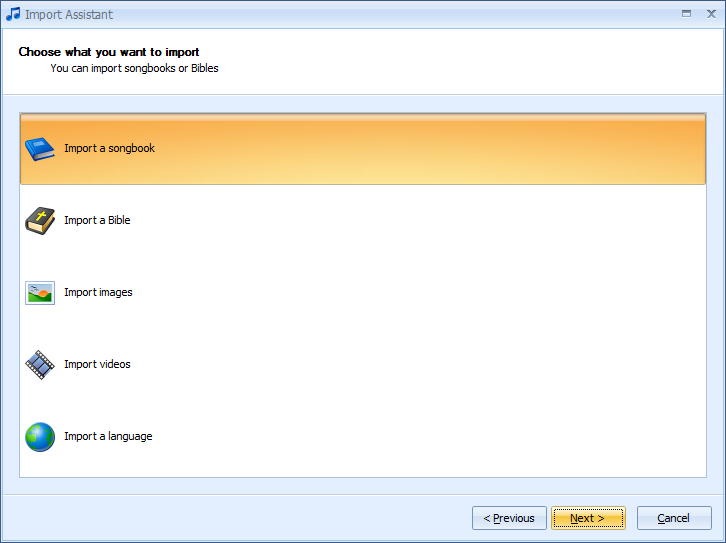 Via VideoPsalm's import wizard, convert all your OpenSong songs in a few clicks into a VideoPsalm songbook. Click the Next button to start the assistant, then select what kind of material you want to import into your VideoPsalm. languages, useful to display VideoPsalm's interface in French for example. There are around 40 available languages. Except for the English, German and French, the translations have been done automatically via a computerized tool. They require additional work. If you know someone who could help us into this translation work, please let us know. 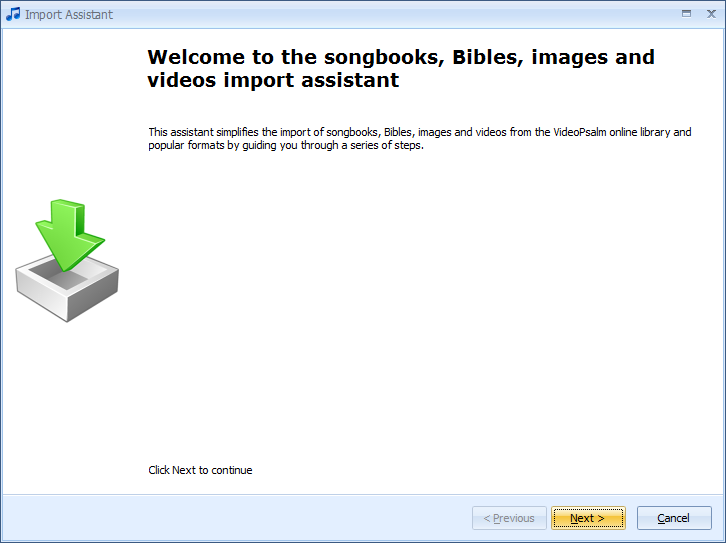 Songbooks from the VideoPsalm online library constitute a central repository of thousands of songs. 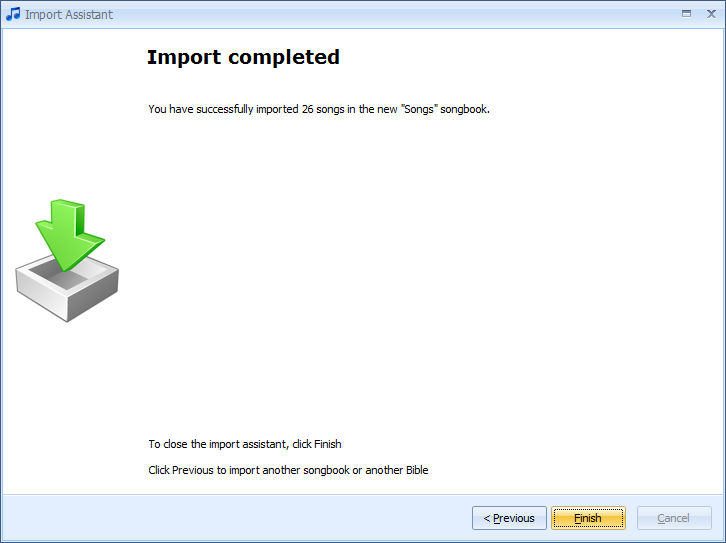 It is the recommended way of getting started with your own collection of songs. 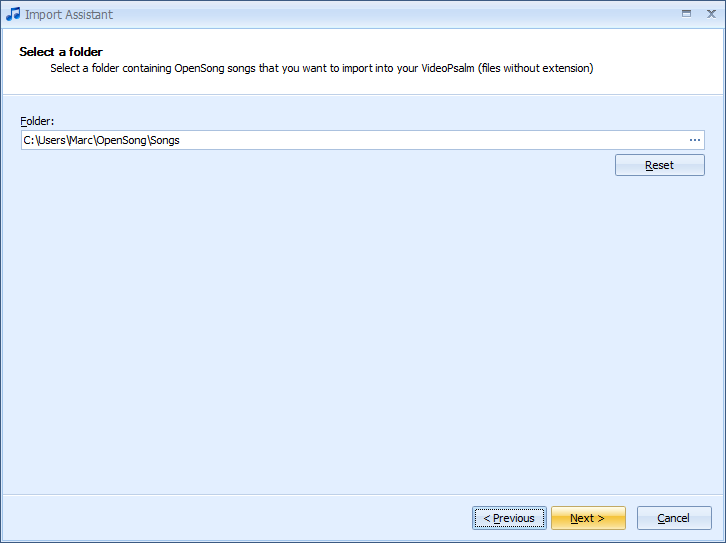 But let's say that you already have some songs in the OpenSong format, that you want to import into your VideoPsalm. 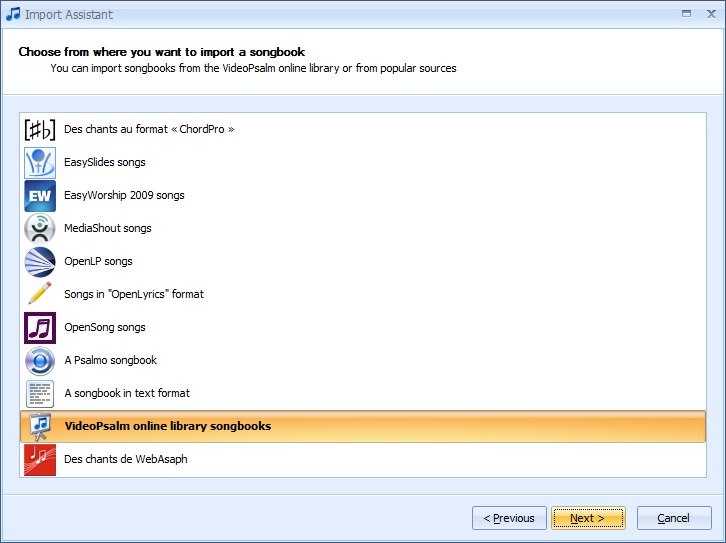 Select the “OpenSong songs” option, then click the “Next” button. 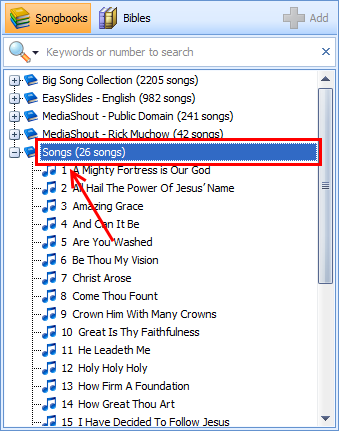 Select your hard drive the folder where your songs in the OpenSong format are located. You can navigate to it via the small button with the “...” icon to the right of the field. 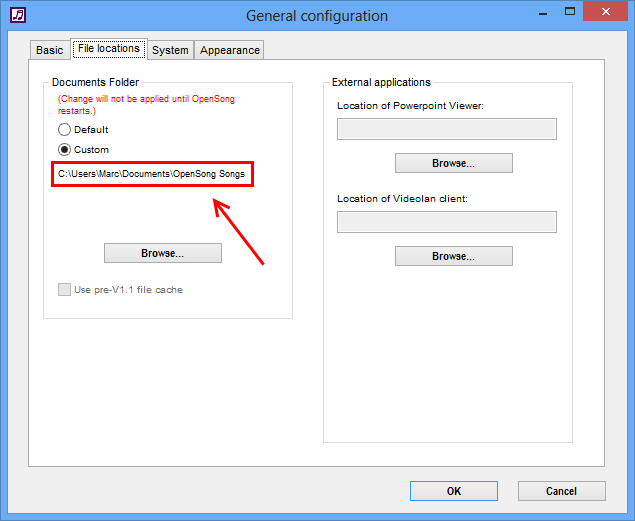 Click on the menu Settings -> General setting. 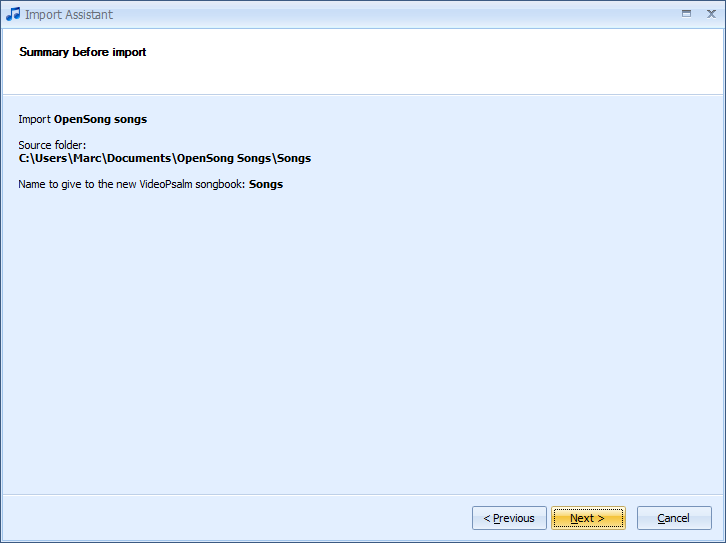 Fill in the proper folder into the VideoPsalm import assistant then click the “Next” button. 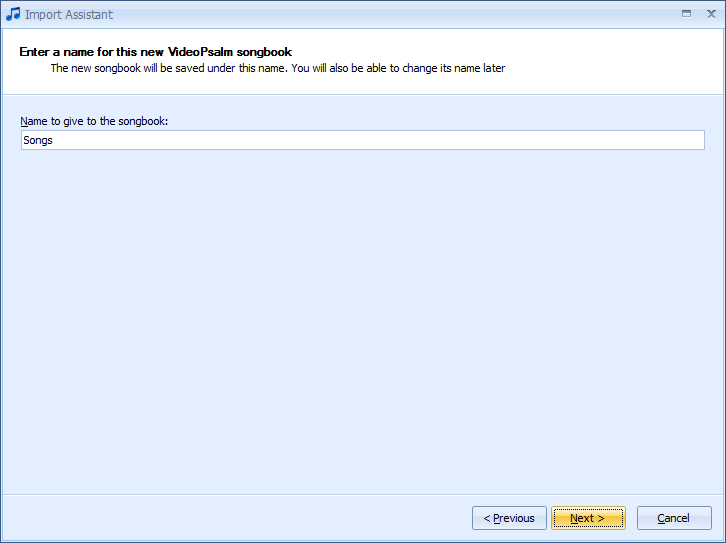 VideoPsalm groups songs into songbooks. This step describes what is going to happen during the import process.